Located in the luxurious Georgia Hotel, this restaurant is everything that glamour and taste should be: from the beautiful fixtures to the impeccable service, Hawksworth is the essence of Vancouver dining. I fell in love with this restaurant. @billyforce and I decided to meet there for a pre-Christmas dinner on Friday. We didn’t have a reservation, so we sat at the lounge. It’s a great place to people watch: beautiful couples, girlfriends celebrating birthdays, co-workers celebrating the holidays. It’s a great atmosphere. 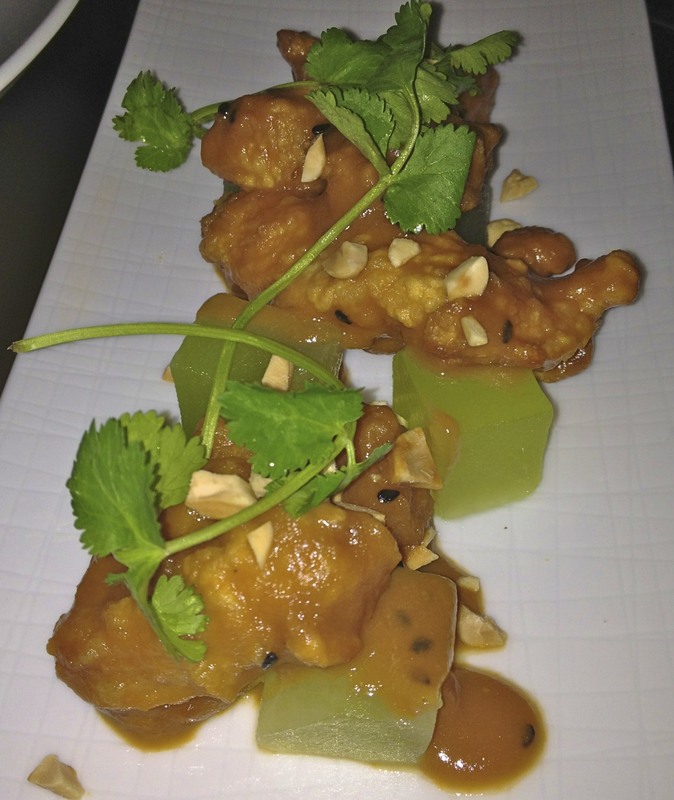 Billy and I started with a couple of appetizers: The Bang Bang Chicken ($12) it’s chicken with honeydew and peanuts in a mildly spicy sauce. I loved the cilantro. And the chicken is very juicy. 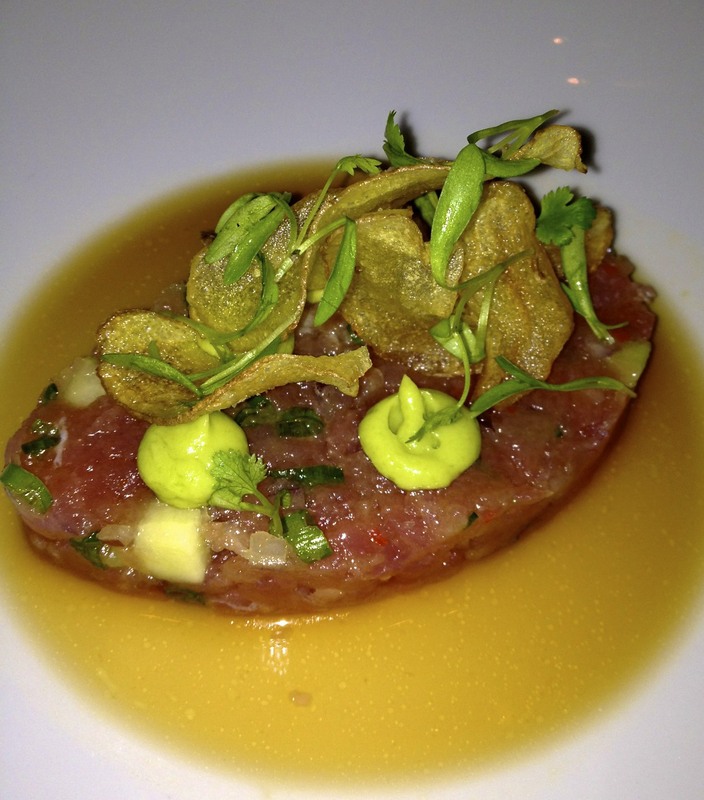 We also ordered the Tuna Carpaccio – which was seasoned very well. My favourite dish of the night was The Beef Burger ($18) It came piled-high with applewood-smoked bacon,aged white cheddar cheese, lettuce and tomato. There’s even a crispy onion ring in the middle of it. 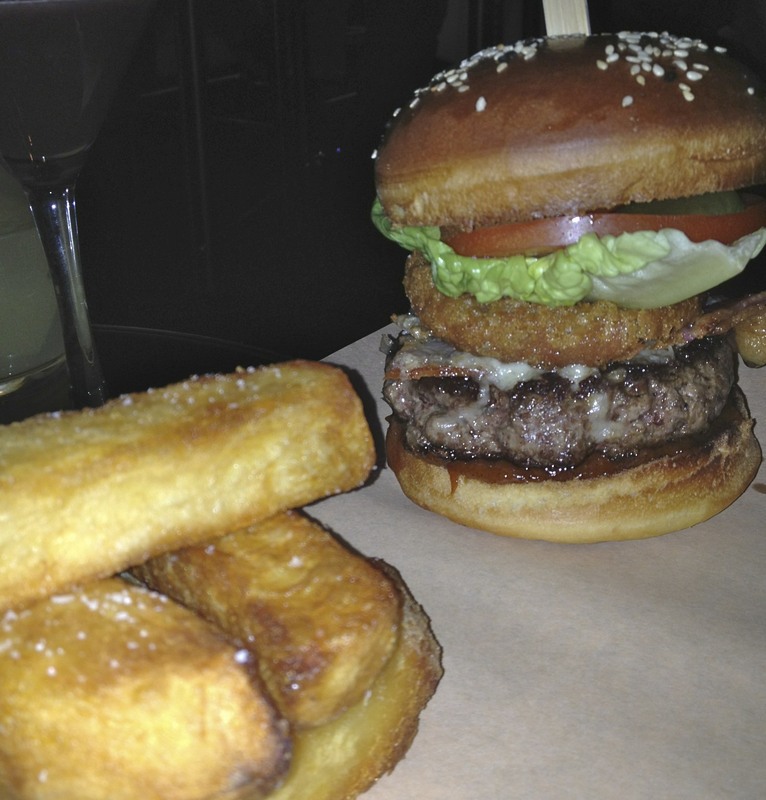 The burger comes on a freshly baked cheese bun. What a sinful delight, I want to go on record to say that this is the BEST burger I have ever eaten. The meat was so juicy, and the flavour… oh folks, the flavour of that burger will haunt me until I have a chance to taste it again. It comes with large-cut fries, that are crispy on the outside and mushy on the inside, like crispy mashed potatoes. 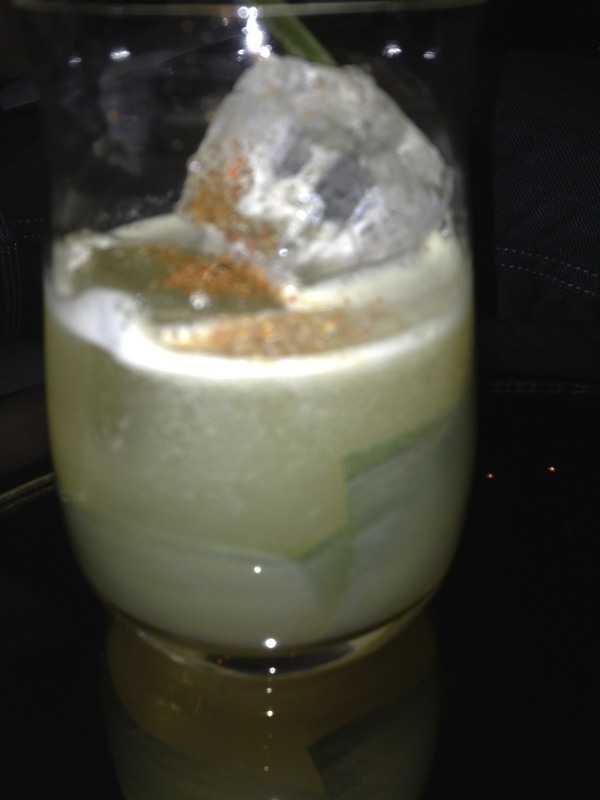 There are many things I liked about my visit to Hawksworth. I loved their wine list, it’s inspired. I loved the Asian influences on the menu. I loved that Chef Hawksworth himself came out several times to check out on wait times and restaurant reservations. That was pretty cool. 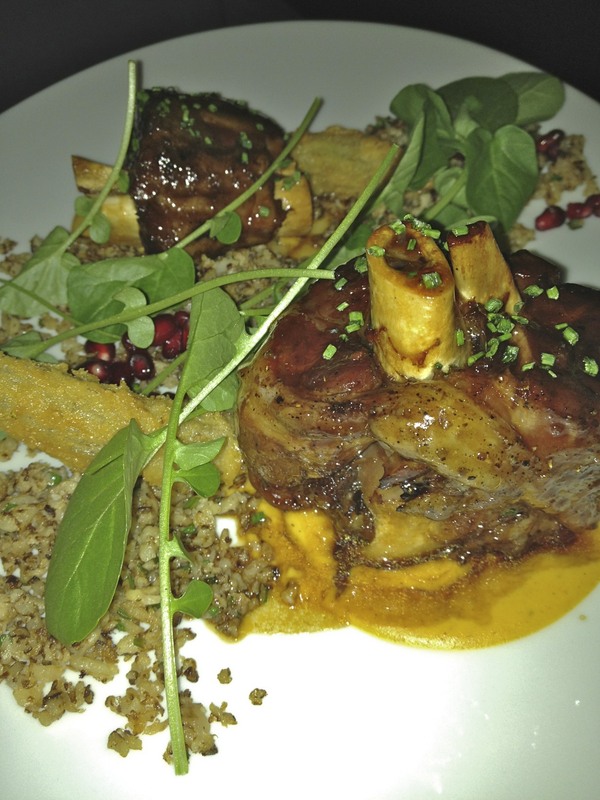 Billy ordered the Slow Cooked Lamb Shank ($31) The lamb was perfectly cooked, just fall-off-the-bone tender. With a hint of curry and spice, this dish was a winner. For dessert, we shared the Macaroons Sampler ($12) These are the same macaroons that are served next door at Bel Cafe. So melt in your mouth delicious. My favourite still the vanilla bean. What a great way to end our meal. The presentation of each dish was wonderful. This restaurant not only sold me on the food, but on the experience. I will definitely be back to check out their brunch menu – I’ve heard great things about it. Wooo Mary. I can’t believe you said that…that’s a big claim. 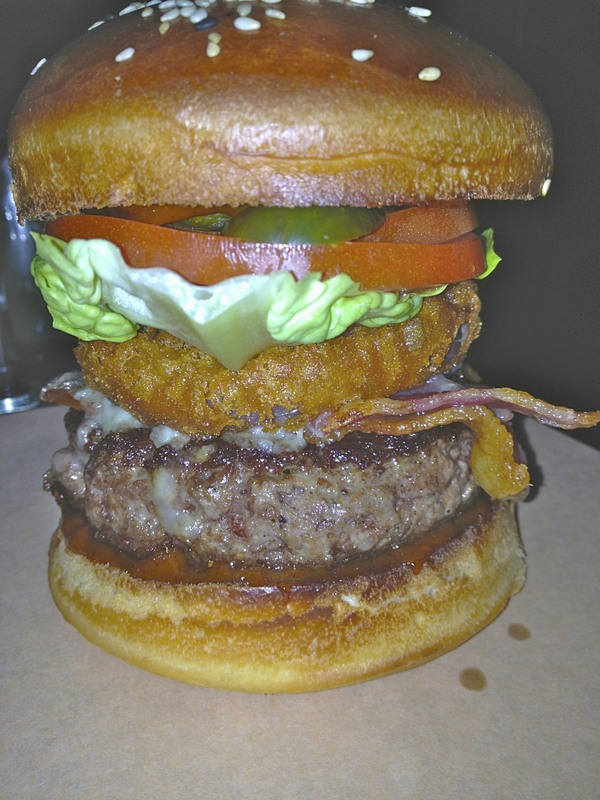 The best Burger ever? I am so hungry right now and you’re making it worse. Why must you torture me. Did you end voting them as the best restaurant for 2011 on Scout. I think the real cool part was how you said the Hawksworth himself came out to check how things were going. This is truly a professional who loves working with his business. Now it’s the record Mary, I’m going to start quoting you about Hawksworth.